The gWind transducer, featuring twin-fin technology and design for more accurate TWS and TWA, can be purchased in 2 separate bundles or as a standalone device. Three-bladed propeller for more accurate True Wind Speed (TWS) in lighter air; twin-fin design gives a more stable True Wind Angle (TWA). Optic reading technique for superior performance at low wind speeds with excellent linearity. 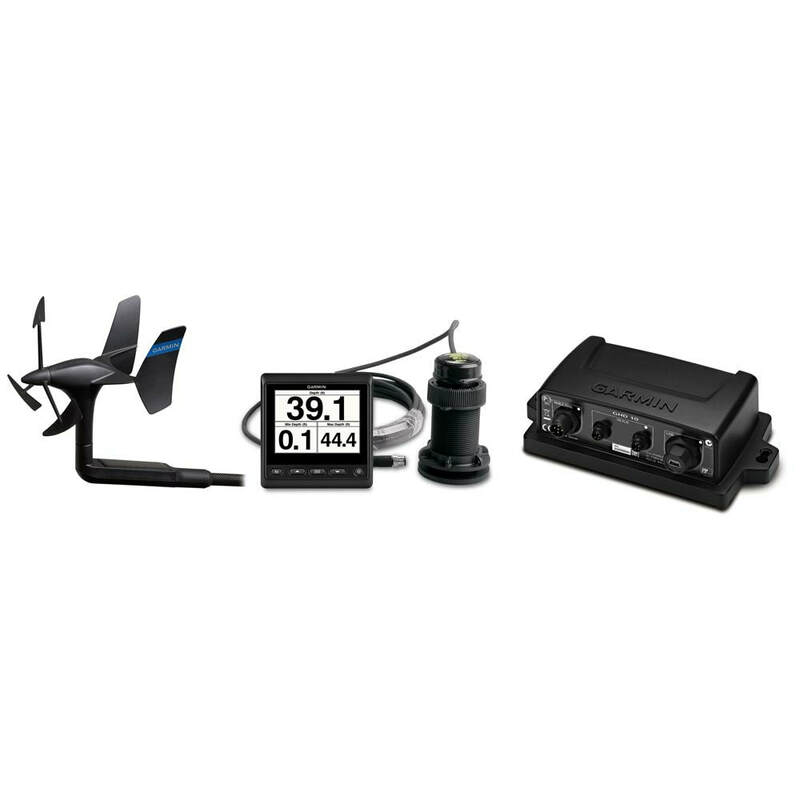 GND™ 10 black box bridges NMEA 2000® data to Nexus Network and enables Garmin compatible chartplotters integrate with Nexus sail equipment and vice versa. Easy plug-and-play installation between Nexus, Garmin chartplotters, NMEA 2000 and USB. Available as 2 bundles; one with a GNX 20 and one without this marine instrument displayThe gWind transducer, featuring twin-fin technology and design for more accurate TWS and TWA, can be purchased in 2 separate bundles or as a standalone device. The bundles include a gWind transducer, GMI™ 20marine instrument color display, GND 10 black box bridge and DST800 thru-hull smart transducer. One bundle also includes a GNX™ 20 marine instrument display. The gWind transducer features twin-fin technology with 3-bladed propeller for more TWS in lighter air while the twin-fin design gives a more stable TWA. The 3-bladed propeller, unlike a cups design, is always efficient. Combined with optic reading this transducer provides superior accuracy at low wind speeds and also provides for excellent linearity. The transducer is connected directly to the GND 10 which sends the wind information to the GMI 20 and/or GNX 20. The GND 10 allows the data from the gWind Transducer to be shared between the NMEA 2000 and Nexus Network. It is a simple plug-and-play installation with no user setup or system configuration required. The GNX 20, with black digits on a white or color background, shows the wind information as well as depth, speed and 50+ marine and boat parameters. Its glass-bonded display with anti-glare lens coating provides excellent daytime and nighttime readability with high-contrast digits scalable up to 36 mm. The GMI 20 shows the wind information as well as depth, speed and 100+ marine and vessel parameters. Its large, bright 4-inch color display with extra large digits is easy to read at a distance and 170 degree viewing angle. The DST 800 thru-hull smart transducer provides water depth, water speed, and water temperature data to the NMEA 2000 network. This 100 W transducer can read depths up to 330 ft; has an operating frequency of 235 kHz; and a beamwidth of 10x44 degrees.